The International Society for Technology in Education (ISTE®) announced its 2015 award winners. Each year ISTE recognizes individuals who are transforming learning, teaching and leading in the digital age. The winners will be honored at ISTE 2015, the world’s most comprehensive ed tech event to be held June 28-July 1 at the Pennsylvania Convention Center in Philadelphia. This honor, which goes to a leader outside of the classroom, recognizes outstanding achievement and leadership in implementing technology to improve education. The district-wide, 1:1 iPad initiative implemented under Hintz’s leadership at Gurnee School District, was recently named an Apple Distinguished Program for innovation, leadership, and educational excellence for 2013-2015. 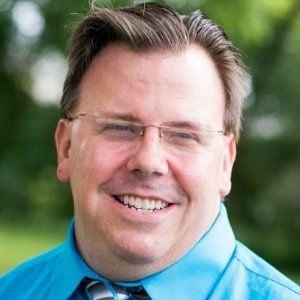 A frequent presenter at state, national and international conferences, Hintz is the 2015 Technology Director of the Year for the State of Illinois, an award from ISTE Affiliate, the Illinois Computing Educators (ICE-IL). Recognized for applying technology to engage and empower students, Loyola teaches a paperless course that is a hybrid of language learning and exploring new technologies. All of her students use an iPad on a daily basis to further their knowledge of Spanish through project-based learning. This award honors individuals who champion ed tech policy at the local, state, regional, national or global level. Driscoll is recognized for her decades of leadership in advocating for technology in Massachusetts which has resulted in increased state funding as well as for her commitment to national advocacy campaigns. Given in memory of Kay L. Bitter, an early childhood educator for more than 20 years, this award recognizes a PK-2 educator whose work has had a significant positive impact on the use of technology in education. Shchlie-Reed is an active member of the ISTE Young Educator Network (YEN) and currently serves as a YEN Leadership Committee member. In her current position, Schlie-Reed designs inquiry-based learning experiences using digital learning tools that encourage creativity and are aligned with the ISTE Standards and the Common Core State Standards. 2015 Award for Outstanding Young Educator: Corey Holmer, technology integration coach and lead STEM Facilitator, Crystal Lake District 47, Illinois; and member, ICE-IL. This award honors a teacher under the age of 35. As a middle school science teacher, Holmer piloted a 1:1 iPad program and transformed his classroom into a 21st century learning environment. Today he customizes professional development for teachers and teams throughout this district. In addition, he is working with Northwestern University to develop an authentic middle school STEM program which combines lab-oriented science and math and engineering curriculum with robotics; 3D printing and design; electronics; coding; and other related topics. All honorees receive complimentary registration to ISTE 2015 as well as a one-year standard ISTE membership, in addition to various other prizes.